To assure only the best for her clients, Kathleen has put together her own marketing team of experts. This marketing team includes magazine quality photographers, writers, web designers, graphic artists and publicist. These professionals are located throughout the country and each one's caliber of work is on a national level. Kathleen is able to quickly put a national marketing campaign into action. This can include feature articles in magazines and newspapers along with precise advertisement placement, postcard and brochure mailings and more. 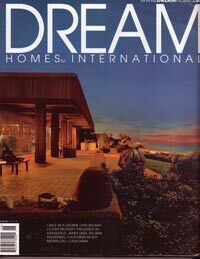 Kathleen advertises consistantly in magazines such as Santa Barbara Magazine, Sotheby's Preview, Dream Homes International, and Unique Homes. Kathleen uses her keen sense of knowledge in pricing a property. Pricing a property at the right price in today's market is crucial. All of Sotheby's® properties are placed on three proprietary sites. A range of powerful resources are used to drive traffic to these sites. Sotheby's has 63 offices in prominent markets, including London. 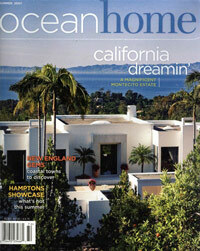 Also, properties are listed in the Santa Barbara MLS. 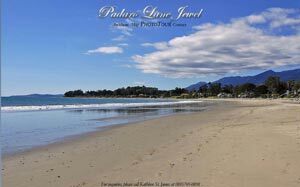 Santa Barbara PhotoTours™ provides a stunning photographic display of every property listed. In addition, a custom website is developed for each individual property. To view examples of Kathleen's web sites, please see www.PadaroJewel.com and www.123acressb.com. Kathleen has 30 years worth of contacts in her "little black book". Known by her friends as the "networking-genius", Kathleen can be in any part of the world and she will know someone. It doesn't matter if she met them yesterday or 25 years ago, she remembers them, and they remember her. Kathleen's intuitive form of networking is of great benefit to all her clients. Kathleen's previous experience also includes over 20 years of successfully marketing and selling to the most discriminating of high-end buyers nationwide. She has trained with and represented many top corporations's products that include Herman Miller, Baker Furniture, Scalamandre, Collins and Aikman (Greeff Textiles), Masco (Henredon Furniture), Haworth Systems and Holly Hunt. This, in addition to Kathleen's training and success in high-end real estate, has created a well-rounded expertise that no doubt exceeds that of her peers in training, marketing and sales. Utilizing Kathleen's design background increases the selling price with fewer days on the market, with more money in her sellers pocket. Kathleen utilizes her interior design background to prepare a client's home prior to marketing the property. This staging before marketing has brought multiple offers and sales over the asking price, putting Kathleen's service in high demand. In also having been involved in land development, Kathleen was very successful in marketing prime lakefront property in the Midwest. She has also co-owned a design firm in Montecito, where she met the needs of many homeowners in the community to further enhance their lifestyles. Kathleen has helped increase the market value of many properties by simple modifications that were within her clients' desired budget. Added Value to listing or buying a property is her past experince in the interior design industry. Enhancing a home for a first impression is not new to Kathleen. She remodeled and staged homes for clients, local agents and for herself for the past 15 years.